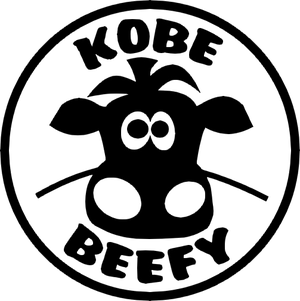 Logo design - Website of kobe-beefy! I wanted the logo to be simple. 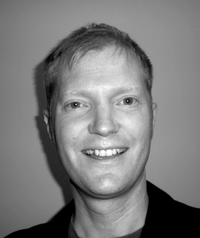 It needs to 'travel well' accross print media, web based things and of course look good embossed on leather. Although my target customers are primarlily male, I reckon a lot of the articles will be bought by women for the men in their life as novelties, father's day gifts and so on. The goal therefore was for something cute to appeal to these consumers. I used free software, Serif Drawplus, and designed the logo from scratch.This a vector graphic which means that it has smooth edges even if you enlarge it. This is unlike a bitmap or regluar clipart which looks really rough and blocky if you max up the size.